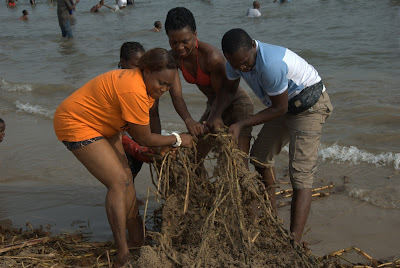 A Co-founder of the organisation, Mr Pelu Awofeso, said in an interview in Lagos that regular beach cleaning was necessary to save the ecosystem. He said the beaches which should naturally be attractive had been turned into waste dumps by communities around them. ``Public beaches in Nigeria are dirty though they are naturally attractive leisure and recreation spots. ``The human wastes that litter the beaches are health hazards to the immediate communities. ``They also affect the potential of the beach owners to generate revenue for all levels of government and allied businesses,’’ Awofeso said. He said it was sad that with Nigeria’s over 800km of coastline, no beach in the country ranked among the top 25 beaches in Africa. Awofeso said that a recent report by the CNN showed that a leading cause of ocean/beach pollution were non-biodegradable plastics, bottles and metals produced by manufacturers of consumer products. He said that as one of the worst-hit in the world, Nigeria must start now to make the beaches safer and healthier for the general public. Awofeso, however, said that the organisation had in the last one year cleaned six public beaches in Lagos, which had become healthier for the host communities and leisure seekers visiting them. He said the beaches include Okun Alfa, Tarkwa Bay, Ibeshe Beach, Ilashe Beach, Lekki Town Beach and Regal Seaview Beach. Awofeso said the organisation would hold an exhibition of photographs of beaches so far cleaned, to commemorate its first year anniversary from Dec. 10 to Dec. 14 in Lagos. He said the anniversary exhibition titled ``Beauty and the Beach’’, would also feature awards to sponsors, outstanding volunteers, a bazaar and a commemorative beach clean-up on Saturday, Dec. 12. The Beach Samaritans is a member of ``Let's do it World; Clean-up the World and Ocean Conservancy, all environment-focused global organisations. The organisation was founded in October 2014 to clean up public beaches across Nigeria.